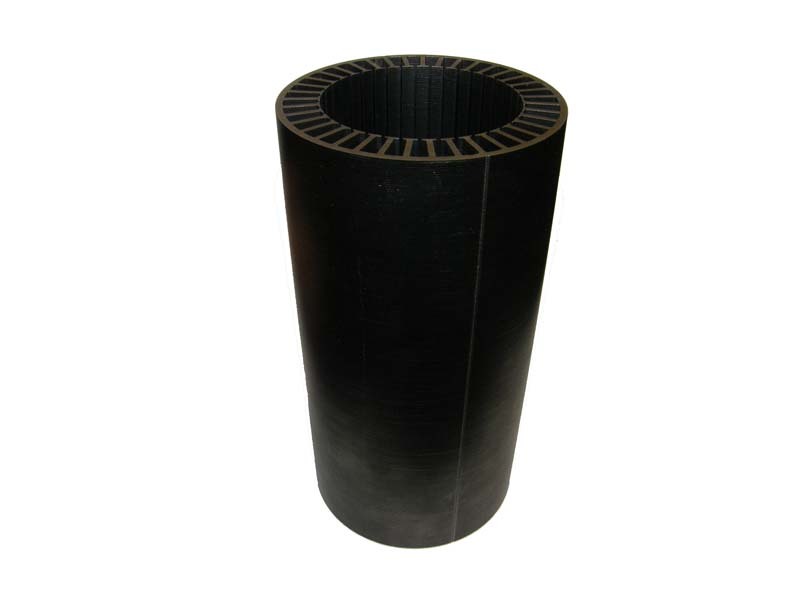 Laminations are the steel portions of the stator and rotor consisting of thin lamination sheets stacked together. These laminations can be stacked "loose", welded, or bonded together depending on your application. 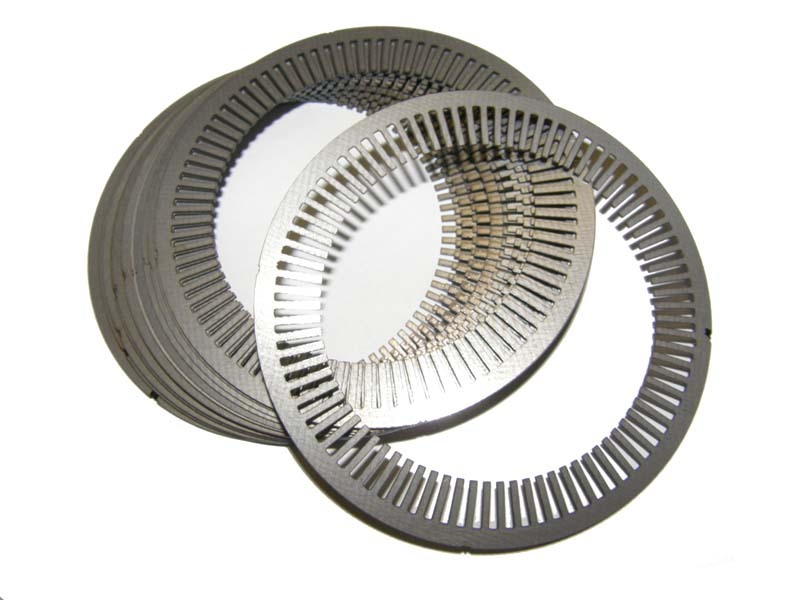 Laminations sheets are used instead of a solid pice to reduce eddy current losses. Motor laminations are created by using electrical steel laminations. Silicon Steel, also known as electrical steel, is steel with silicon added to it. Adding silicon to steel increases its electrical resistance, improves the ability of magnetic fields to penetrate it, and reduces the steel’s hysteresis loss. Silicon steel is used in many electrical applications where electromagnetic fields are important, such as electrical stators/rotors and motors, coils, magnetic coils and transformers. While the silicon in silicon steel can help to reduce corrosion, the primary purpose of adding silicon is to improve the steel’s hysteresis loss. Hysteresis is the lag between the time when a magnetic field is first generated or applied to the steel and when the field fully develops. The addition of silicon to steel makes the steel more efficient and faster in terms of building and maintaining magnetic fields. Thus, silicon steel improves the efficiency and effectiveness of any device using steel as a magnetic core material.